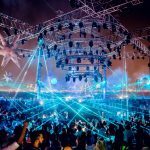 White Dubai approached Procom Middle East with the requirement to create an in-house laser show that would complement its dancer's show. 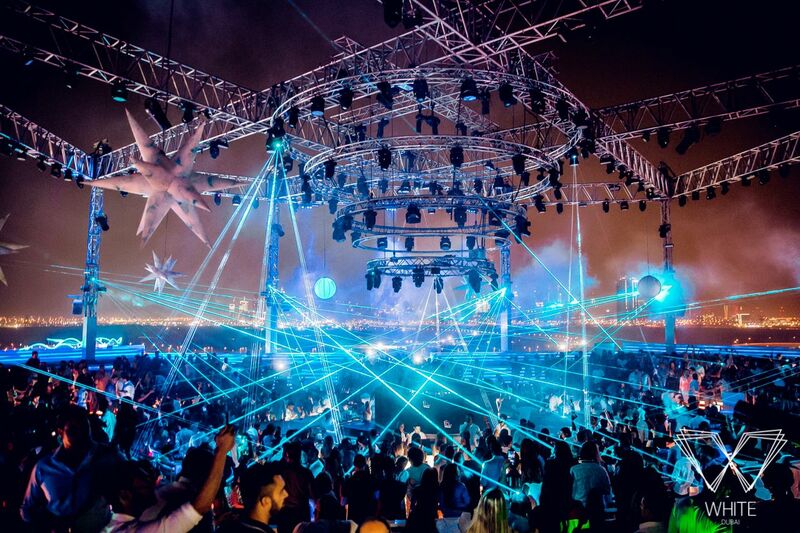 The final set-up was made out of 12 high power RGB lasers surrounding the venue with IP rated casings – 8 in the middle directed at the dancers, and 4 on the outside structure sweeping the crowd. These were controlled by a Pangolin controller giving the lighting operator full command over the show being played.